Thanksgiving rocks. 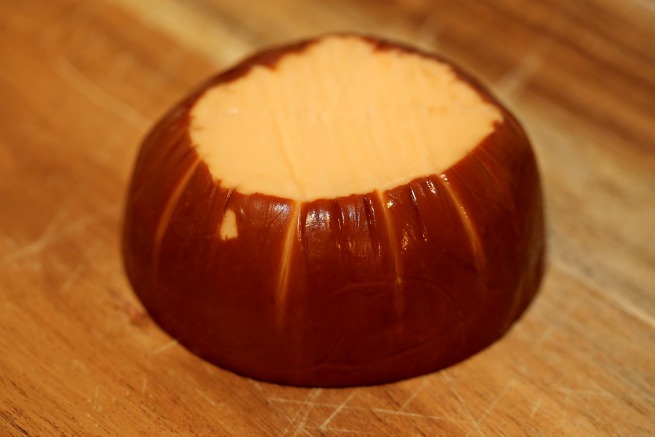 Every single year my brother does the turkey and I do some side dishes or a dessert. I love turkey BUT it's all about the side dishes for me. Stuffing? Yes!!!! Horseradish mashed potatoes? YESSSS! Brussel sprouts? Green bean salad? Yassssssssssssssssssssssssssss. I love taking the normal and giving it a new twist. I think macaroni and cheese is the quintessential comfort food and should be in the Thanksgiving spread. My macaroni and cheese isn't your mother's macaroni and cheese. It's extra special. Campbell's Cream of Mushroom soup. 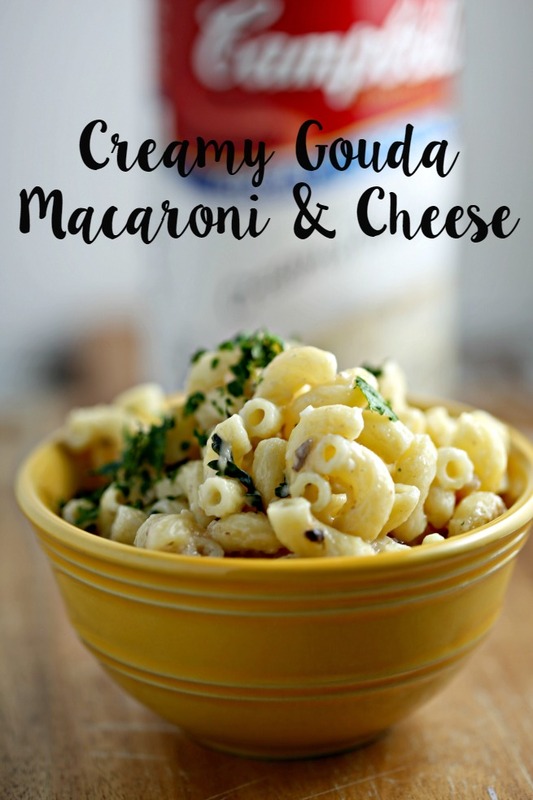 I love using it in my macaroni and cheese because the texture, creaminess and flavor take it to another level. 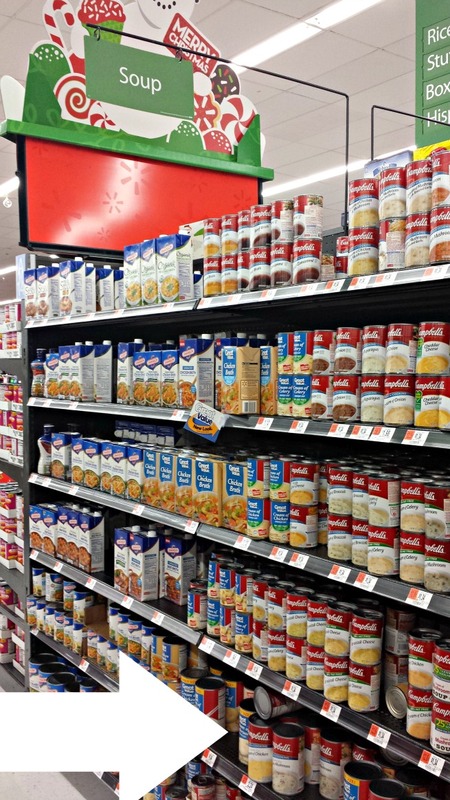 You can find Campbell's Cream of Mushroom soup at Wal-Mart in the soup aisle! 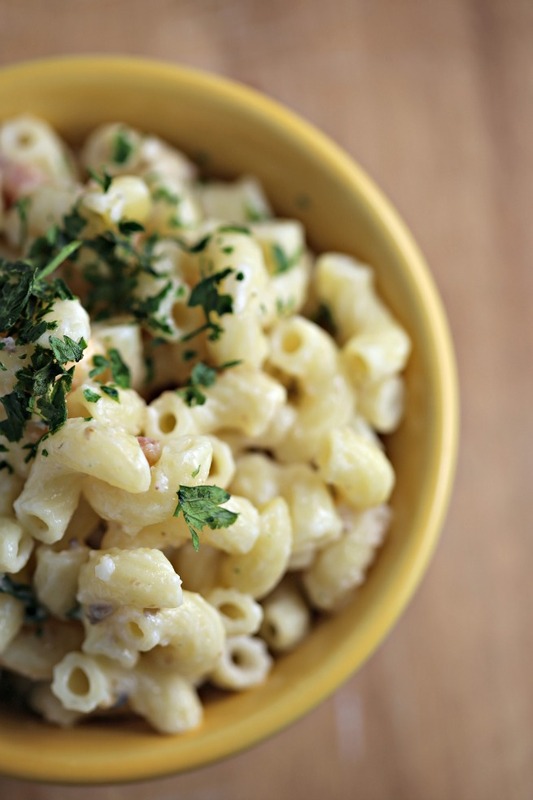 Make this macaroni and cheese and you won't regret it! Pinky promise! This side dish will make your guests SUPER happy! 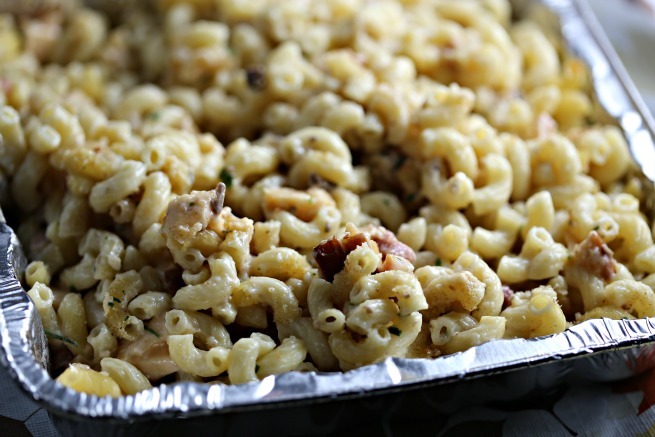 The smokiness of both the gouda and the pancetta take the macaroni and cheese from yum to WOWWWWWWWWWWWWWWWWWWWWW. 2. Prepare macaroni as per the package instructions and drain when done. 3. Cook pancetta until done. When done, place on paper towel to drain. 4. Mix soup, milk, sour cream, mustard, salt and pepper, and garlic powder in a large bowl. 5. 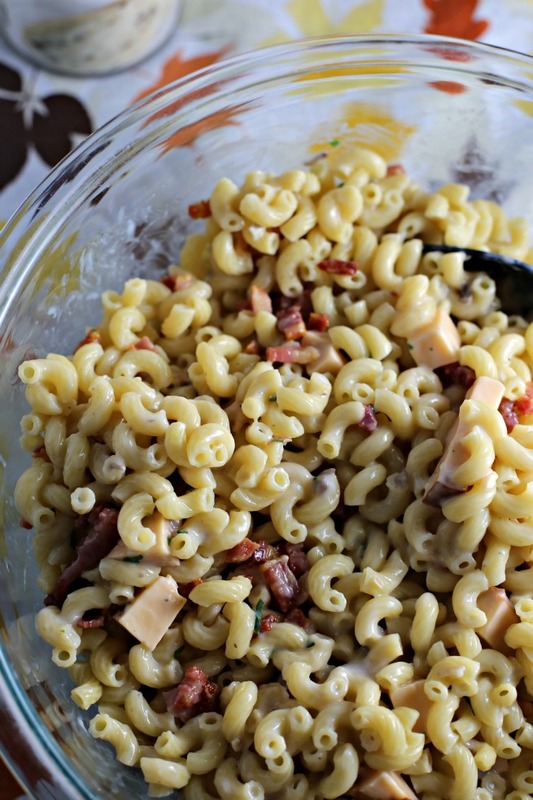 Stir in macaroni, cheese and pancetta. 6. 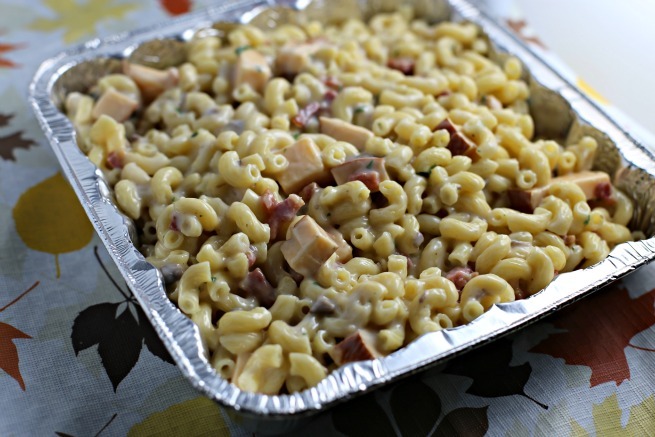 Place macaroni mix in baking dish. 7. 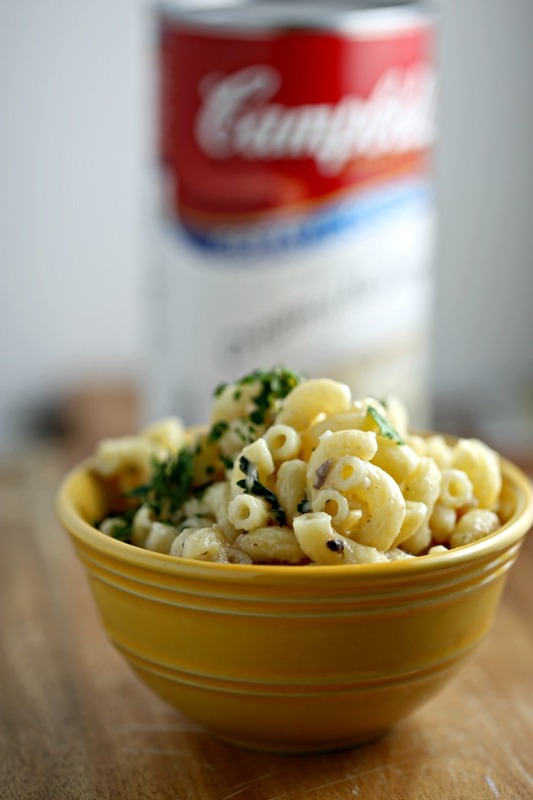 Combine melted butter and bread crumbs and sprinkle over top of macaroni. 8. Bake 25 minutes or until heated thoroughly. 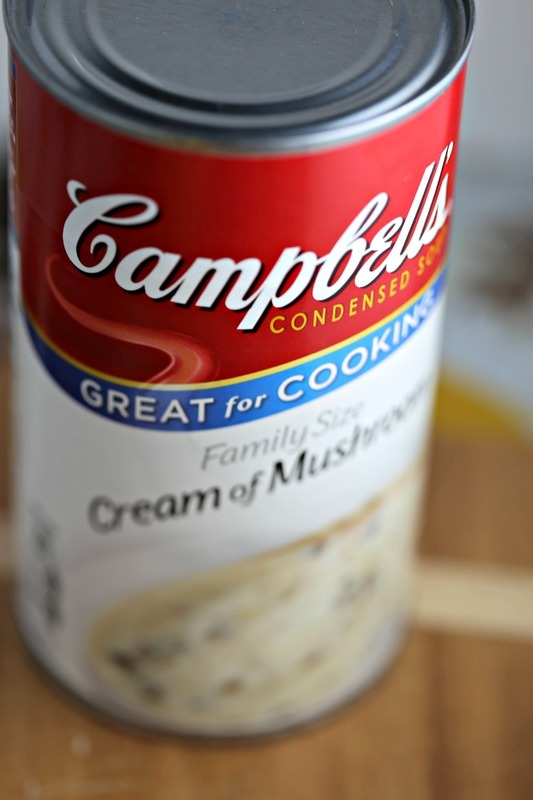 What recipes do you use Campbell's Cream of Mushroom soup in? Need some more recipe ideas? Visit this link for more ideas!